Thanks to the heavy-duty material, this crate is suitable for indoor and outdoor use. Set up in seconds. Can be washed in a washing machine. The fabric may have a odor. So, it is advisable to wash the crate before usage. 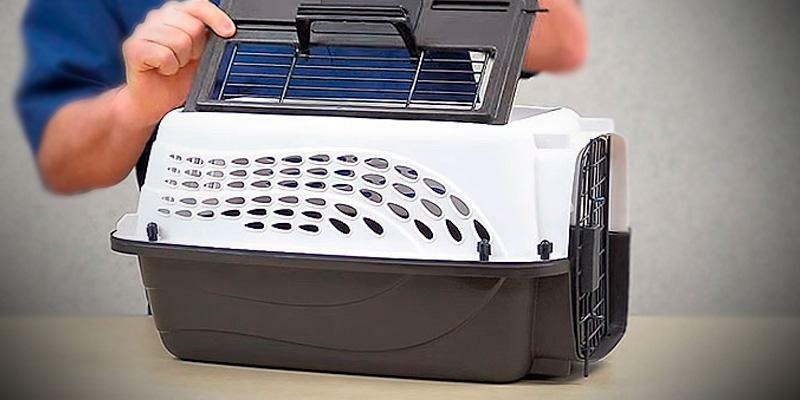 This portable pet crate will be an ideal choice for those who cannot imagine outings or holidays without their small friends. The plastic construction makes this crate light. Can be quickly assembled. Because of these features, it is ideal for transportation. Only 19 and 24-inch models have handles. This crate meets "most" travel requirements. Accordingly, it is one of the best models for the airline, train or auto travel. Owing to Divider panel you will be able to adjust the size according to your pet. So, the crate can grow with the pet. Because of a solid frame, it is pretty heavy for moving. This is a really functional model for the reasonable price. Thanks to the variety of sizes, it can be suitable for many kinds of animals. 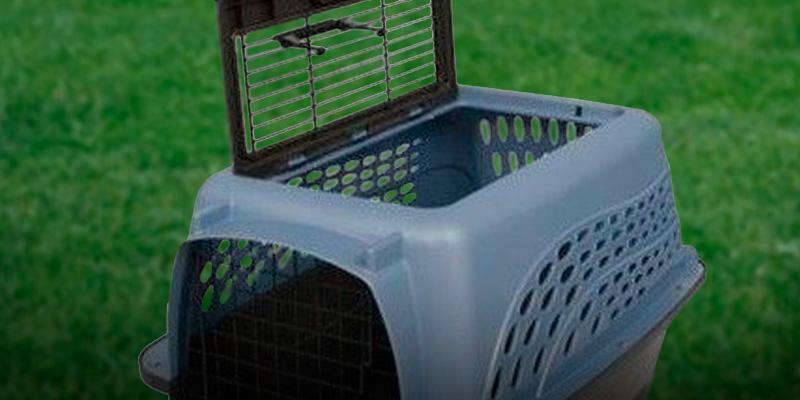 Its compact size, light weight, 2 doors, and a convenient handle make this cage an irreplaceable assistant for pet transportation. The front door is a bit tight. 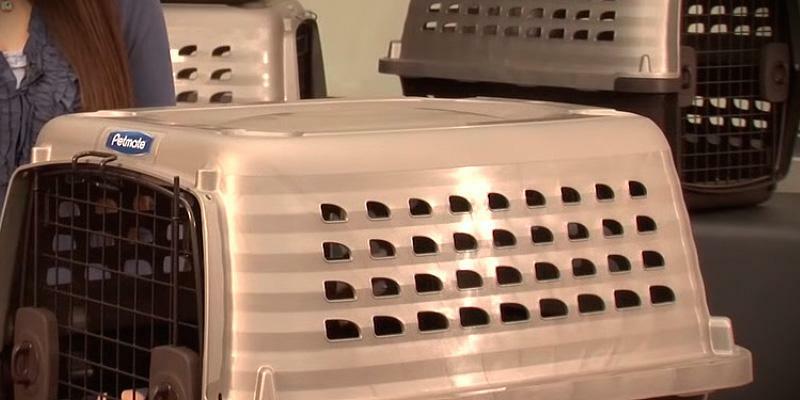 It is a very durable cage for transportation of cats and small-sized dogs. 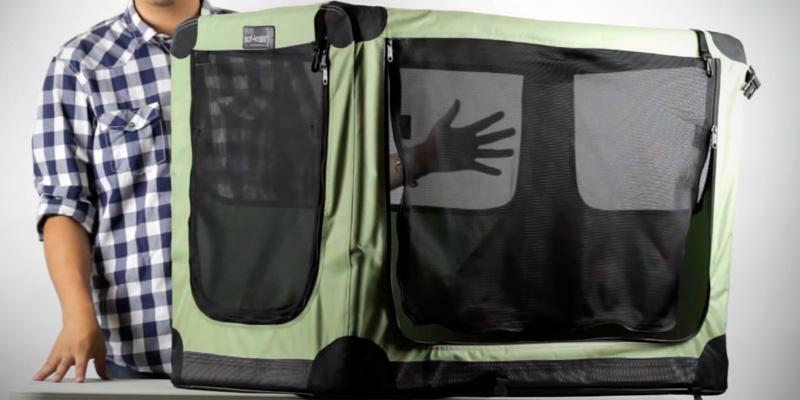 Thanks to this fantastic cage, your pet will always be ready for trips with you! 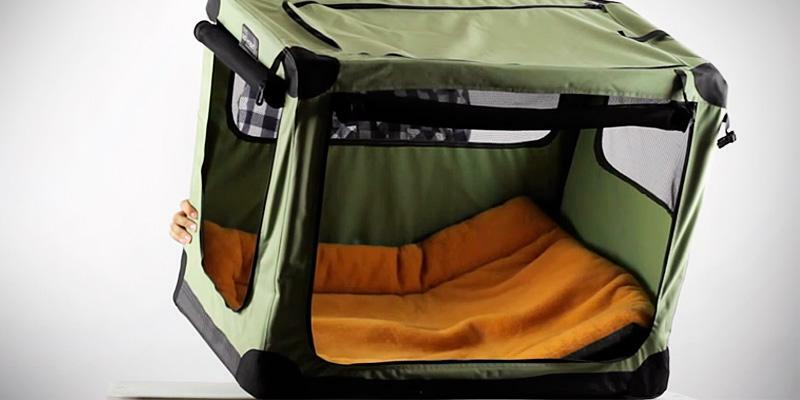 This spacious playpen is ideal not only for dogs but also for other small animals. To set it up or put down is simple due to the 8-panel design. Space between bars is too big for very small animals. This playpen will be the best solution for indoor and outdoor use. 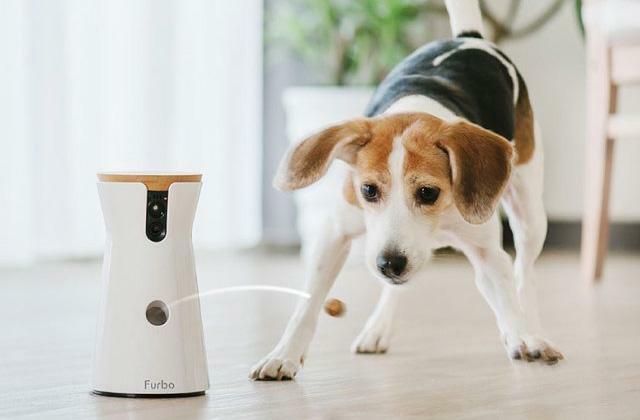 It can provide dogs, rabbits, and even tortoises with some play area wherever you go. The Noz2Noz Sof-Krate is presented in five different sizes. The smallest one measures 19 x 12.7 x 11.5 inches and will suit the owners of Pomeranian Spitzes or Toy terriers. The biggest size has such dimensions - 40.8 x 26.8 x 20.6 inches. Imagine, this model can fit even Bobtail. So, it is obvious that you will be able to choose the best size just for your pet. The frame of this model is made of solid steel with rounded corners. The surface is covered with the heavy-duty cloth. For the better air circulation, the crate is equipped with the tight-weave mesh inserts on the sides. Owing to the construction and materials, this model can be a perfect portable dog and cat crate. So, you can take it along on different trips, excursions or visits to the vet. Convenient, isn't it? Noz2Noz Sof-Krate construction is easy to assemble and install. You just have to push button tabs and the crate will be collapsed within the seconds. Really easy! It can also be a great space-saver as it can be stored flat. Moreover, the model is equipped with the washable cover, which can be easily removed from the steel frame. For this reason, you can throw it even in the washing machine. Taking care of its customers, the manufacturer has been producing this kennel in various sizes. The smallest one measures 19 x 12.7 x 11.5 inches and is suitable for Shits or mid-sized cats. 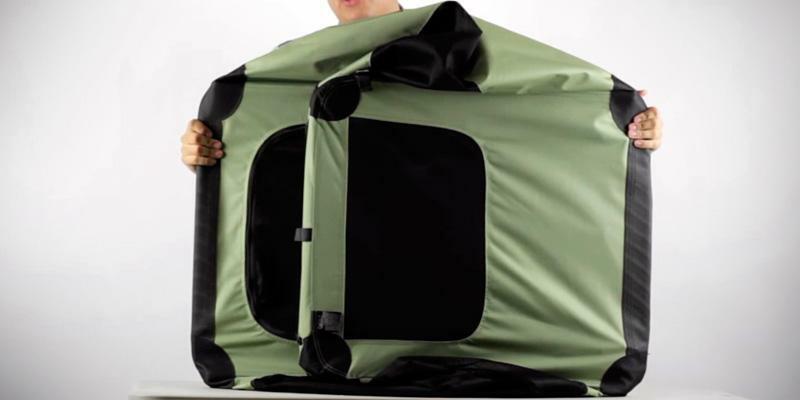 And the biggest kennel with the dimensions of 40.8 x 26.8 x 20.6 inches can hold animals up to 90 pounds. Thus, it is suitable for such dogs as Retrievers and Siberian Huskies. 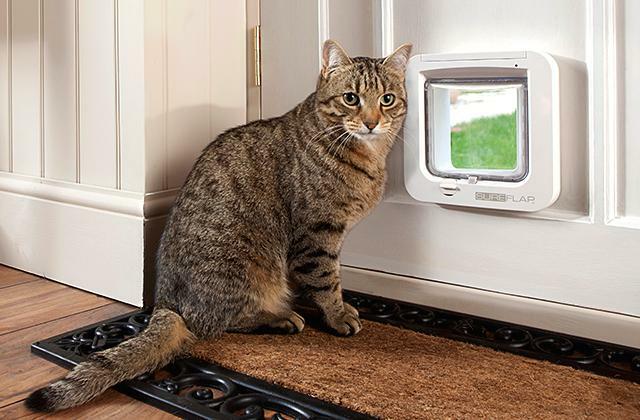 Petmate Compass is made of high-quality plastic and spacious metal doors. The doors provide your small friend with an excellent field of vision. At the same time, they supply the animal with good ventilation. 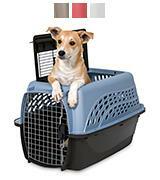 Owing to the plastic frame, this model is perfect for the pet's transporting in an airplane hold. The construction consists of two parts, that you'll be able to put together with minimum efforts. Moreover, this model is equipped with 2-way doors. This means that you can open doors both to the left and to the right sides. 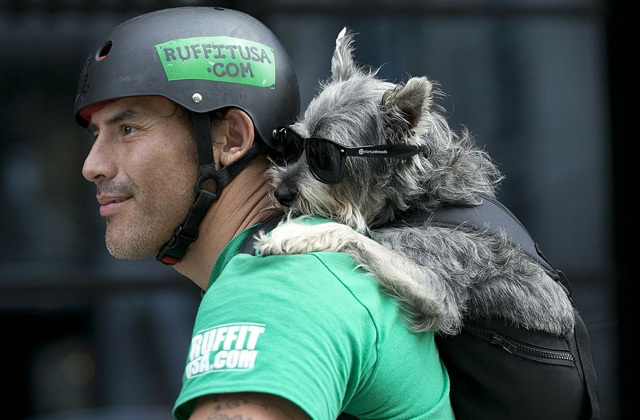 It is a good option for big-sized dogs. In conclusion, we would like to emphasize, that 19-inch and 24-inch models are equipped with carry handles for extra convenience. 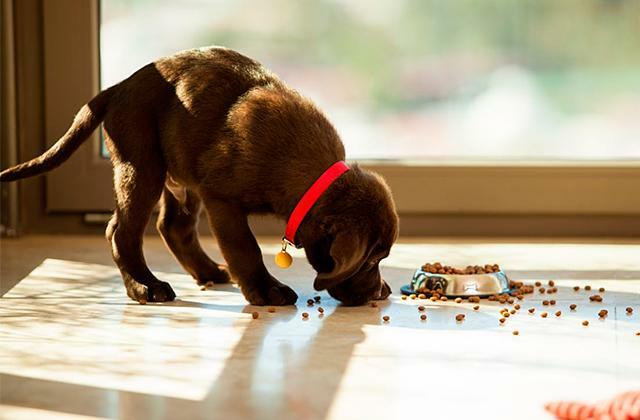 MidWest Homes for Pets iCrate has the widest range of sizes. 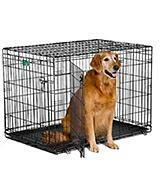 So, this crate is suitable for all breeds of dogs (up to 110 pounds). And, we would like to emphasize, that it can serve as the house for some other kinds of animals. In addition, you can adjust the living area due to the divider panel. To summarise, this model can grow with your puppy. The cage is made of the non-toxic material that will provide the long service life. 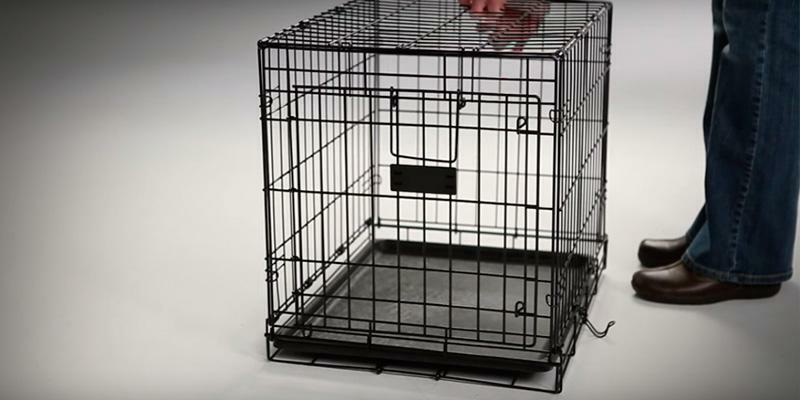 The MidWest Homes for Pets iCrate also features a durable satin-black Electro-Coat finish and rounded steel corners. Furthermore, you can additionally purchase a stainless steel bowl and attach it to the frame. Also, this model is equipped with a plastic tray. Turning to the range of colors, you can choose between black, blue and pink. Speaking about the conveniences of this model, it can be easily folded. Moreover, this crate comes with the plastic carrying handles for easy transportation. 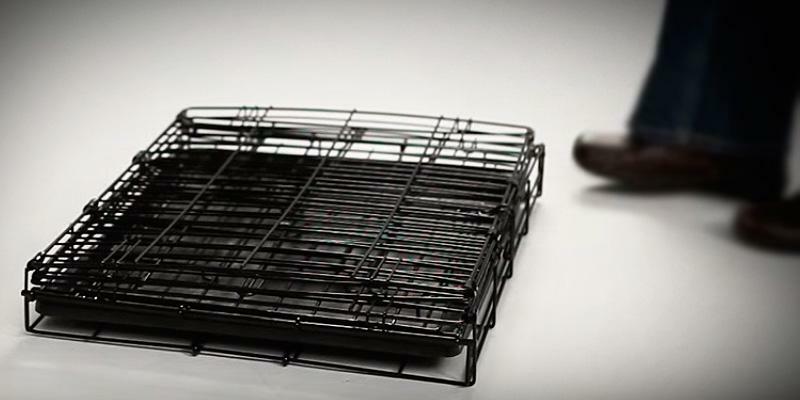 The cleaning process is also simple as the cage is equipped with a plastic tray. What is more, you can purchase the special QuietTime Crate Cover for the sound sleep of your small friend. To sum up, it is definitely one of the coziest and roomy models on the market. 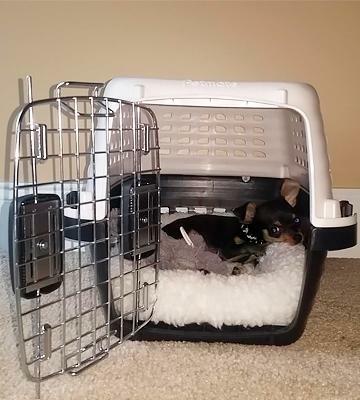 Petmate cage is offered in two different sizes: 19.4 x 12.8 x 10 inches and 24.05 x 16.8 x 14.5 inches. Respectively, they are designed for two weight categories - up to 10 and up to 15 pounds. Due to the small weight (3.8 and 6.43 lbs, respectively), they are convenient for transporting all cats and small breeds of dogs. So, you can easily take your small devils with you in the cars, trains, and even planes. You will be calm knowing that your pet is safe and comfortable, and what is the most important - just next to you! 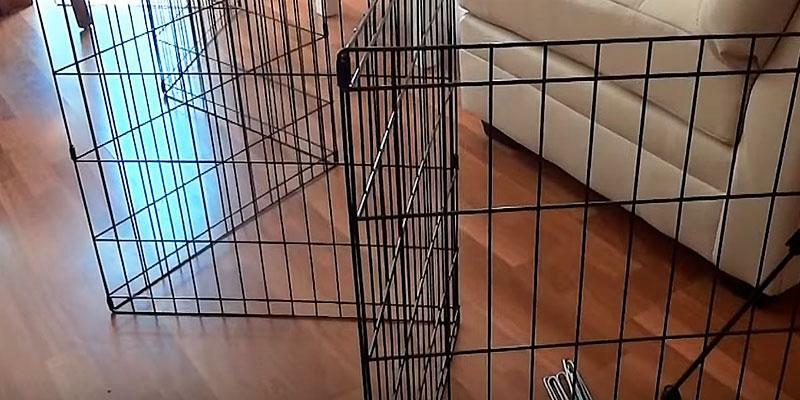 We would like to stress that some customers even use such a cage at home to save their furniture or/and protect the pet from injuries during their absence. The cage is made of durable plastic with a stainless steel front door, which provides an excellent overview and a good ventilation. You can always put a soft pad at the bottom that will make this cage a cozy place for sleep and rest. The animal accustomed to such a "home" will feel safe, having its own territory. 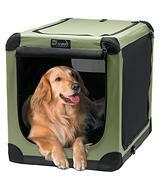 Thus, this crate can even substitute for a pet house or pet bed and, as a result, save your money greatly. The cell is available in four trendy stylish colors, hence pet owners will be able to choose the most appropriate one to fit their furry friends. 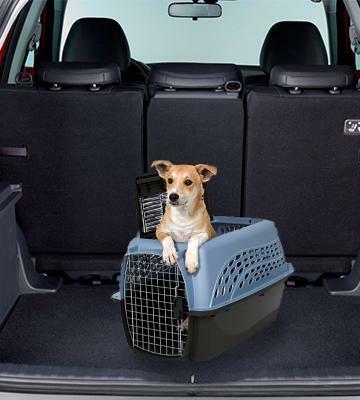 This Petmate cage has a two-door carrier design for easy pet loading/unloading. The front door has a reliable secure latch for extra safety. In addition, this crate is paired with a convenient carrying handle for a comfortable transportation. A top door can be considered as an additional part since if you remove it, the cage will be converted into a comfortable aviary. 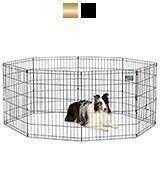 Overall, your pet will feel totally free and protected in such a kennel. 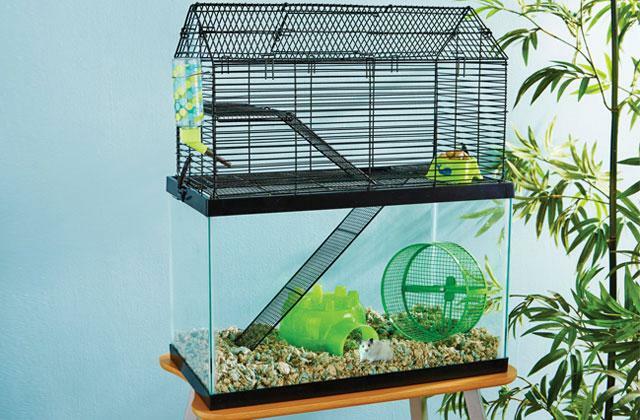 Note that this 2-door cage can be used both indoors and outdoors. An excellent and safe product! 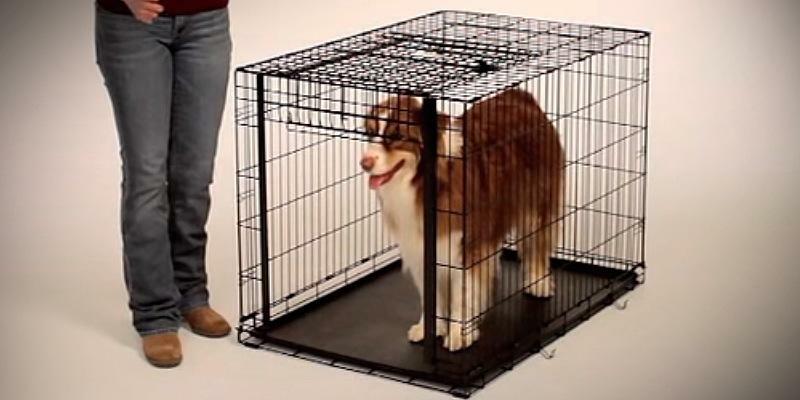 This model is not just a simple cage for a dog. It is a perfect combination of a playpen and a dog crate. MidWest Exercise Pen is available in 5 different sizes and modifications. The model on our shortlist provides the enclosed area of 16 square feet once assembled. As for the dimensions, they are 2 inches x 35 inches x 25 inches. This option is ideal for dogs weighing 26-40 lbs. Yet, if you are the owner of a smaller dog or just want to buy a playpen for rabbits, take a closer look at a 24"H (weight category 11-25 lbs) model. Concerning large breeds, the manufacturer has provided 36", 42", and 48" height options with the weight capacity of 41 - 70 lbs, 71-90 lbs, and 91-110 lbs, respectively. A pretty good choice! 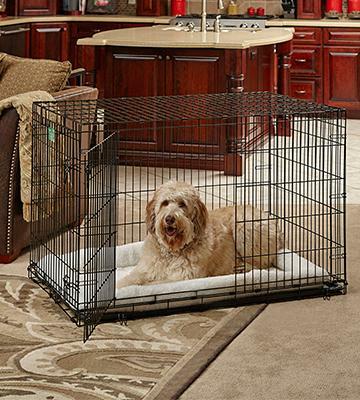 If you want to keep your small furry friend safe, but with ample room for active movements, don't look any further. This is an extremely spacious cage made of high-quality materials. 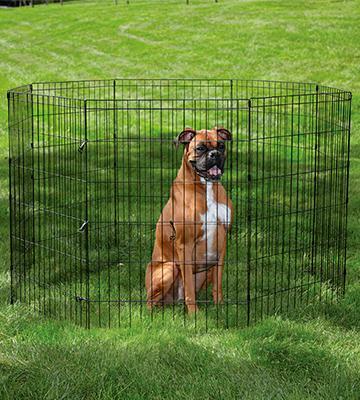 MidWest Exercise Pen is made of durable metal with a reliable electro-coat finishing. This coating is resistant to rust and any other external factors. Thus, the lifespan of this playpen is rather long. The last but not the least, it is available in two classic color options - black and gold. 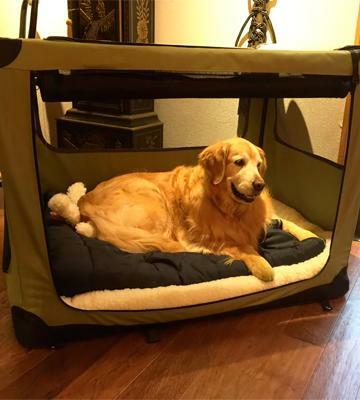 MidWest foldable cage for pets is very simple to assemble and you won't need any additional tools for this. What's more, once disassembled, it is super great for storage. As we have already mentioned, it is possible to choose the panels of different height depending on the size of your pet. You can also choose between the options with or without a door. Since this playpen is both for indoor and outdoor use, the manufacturer has included 8 ground anchors for a reliable outdoor installation. The model also comes with 4 durable metal fasteners for extra fixation. Be quick! Sale ends soon! The pet cage is a mobile dwelling for your pet, which will allow the animal to feel safe no matter where it is. 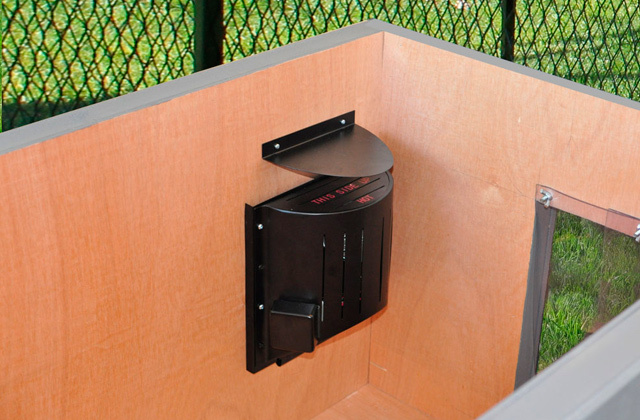 The crate will allow you to control the behavior of the pet during your absence. 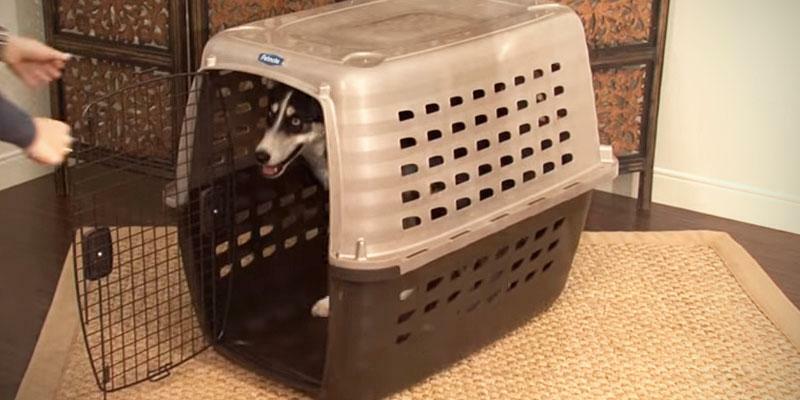 Moreover, if you purchase a cage or a crate, your pet will get a place where it can relax or hide from annoying guests. Some cages are designed both for living and transportation. 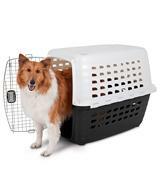 Accordingly, among the variety of models, you can choose the dog or cat cage for a trip, for a walk or for the home use. 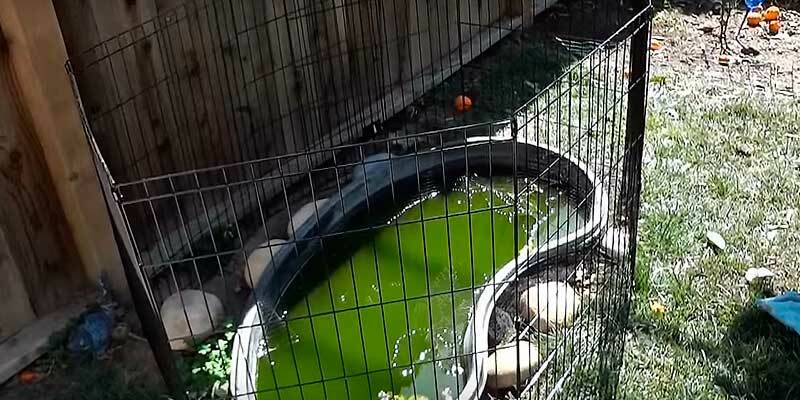 Those who want to provide complete comfort for their pets should definitely pay attention to the dog house and pet fountain. Treat your pets by their own leisure place and the healthy water supply! 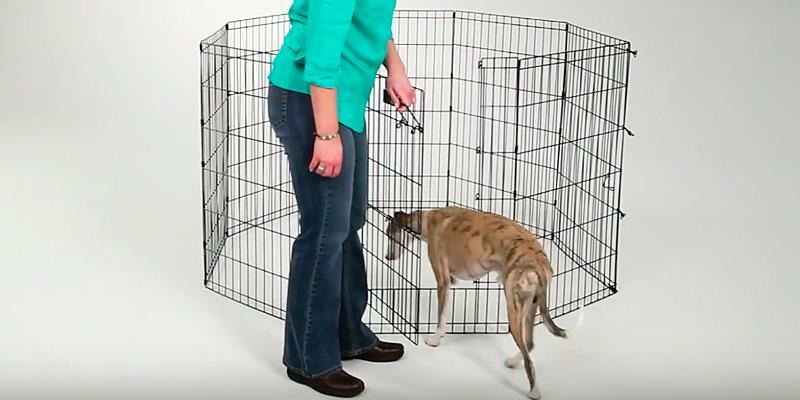 While choosing a cage for your pet, the first thing you should pay attention to is its Size. The size must be selected according to the size of your pet. To be more specific, it is better to consider the pet's adult size. The cage or the crate should be spacious and roomy. It does not have to restrict the movements of the animal. 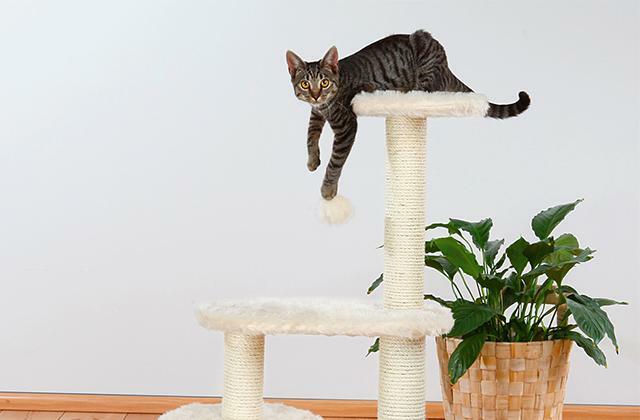 It is vitally important for your pet to stand up or change the position easily. Depending on the cage's purpose, you should also pay attention to the Material it is made of. For example, the plastic cages will be an ideal choice for the air transportation. They are lightweight and will not allow the animal to get out during the flight. Turning to the models made of thick fabric, they will be suitable for exhibitions and different trips. As a rule, such models can be set up easily. Therefore, you can select the metal cages for the home use. They are perfectly ventilated and provide the animals with a good field of vision. Above all, every cage or crate also has some Extras. The models can feature several doors, plastic trays, additional compartments and so on. Besides, most models can be easily disassembled or folded, which facilitates the process of transportation greatly. 2. Dog crate, Wikipedia. March 19, 2016. 3. Laura Tucker, Best Type of Rabbit Cages, lovetoknow.